The journal is a publication made by curators for curators and understands itself as a site for critical debate in regards to the practice of exhibition making. 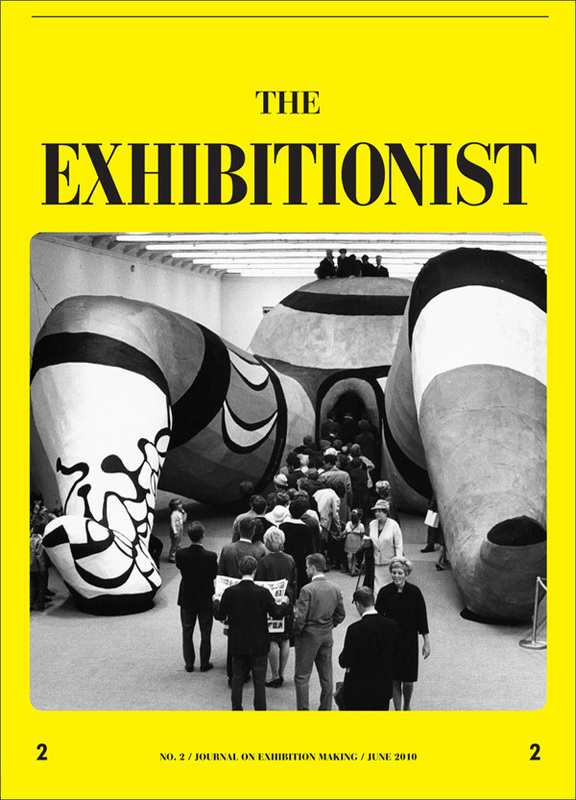 The Exhibitionist will be published twice a year and will follow a strict editorial structure that revolves around the analysis and examination of past, present, and future exhibitions and other curatorial ideas. Under the title Curators’ Favorites each issue will present three texts for which three curators will write a personal essay about an exhibition, contemporary or historic, that has impacted them.This will be followed by an in-depth look at a historically important exhibition in the section Back in the Day. Assessments will comprise the core of the journal. Here four curators will focus on reviewing one significant contemporary exhibition from different points of view. Typologies opens up the debate around specific exhibition formats. The section Attitude will feature a text by a member of the editorial board reflecting on the current state of exhibition making while Rear Mirror invites a curator to reflect upon an exhibition s/he has recently curated. Every fourth issue a conversation about past contributions, the content and the form of the journal between some of the past contributors will offer a forum for self-reflexivity. This entry was posted in Journals & Articles, News. Bookmark the permalink.